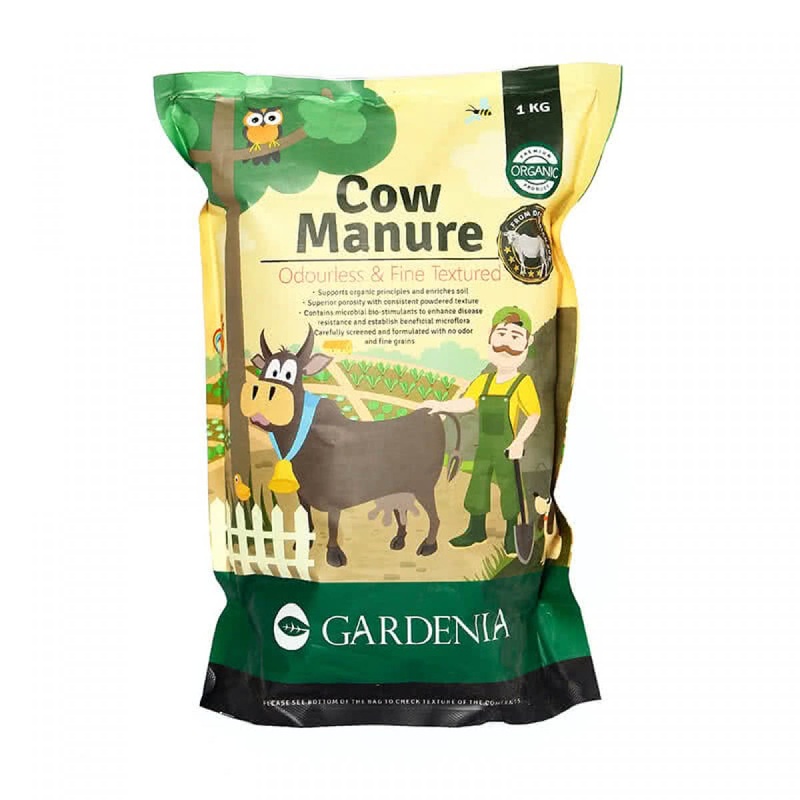 Gardenia Cow Manure is an excellent fertiliser highly rich with organic matter and helps to improve aeration and break up compact soils. It is developed from composted cow dung of the Indian Desi cow and is incredibly rich with beneficial bacteria that convert soil nutrients into readily available forms for the tender plant. For All Ornamental & Indoor Plants : 250 g - 300 g per Plant once in 30 Days. For All Flowering & Outdoor Plants : 300 g - 350 g per Plant once in 30 Days. For Kitchen Garden Plants : 200 g - 300 g per Plant once in 30 Days. For Lawns & Planting Beds : 0.25 inch to 0.5 inch layer once in 3 Months. 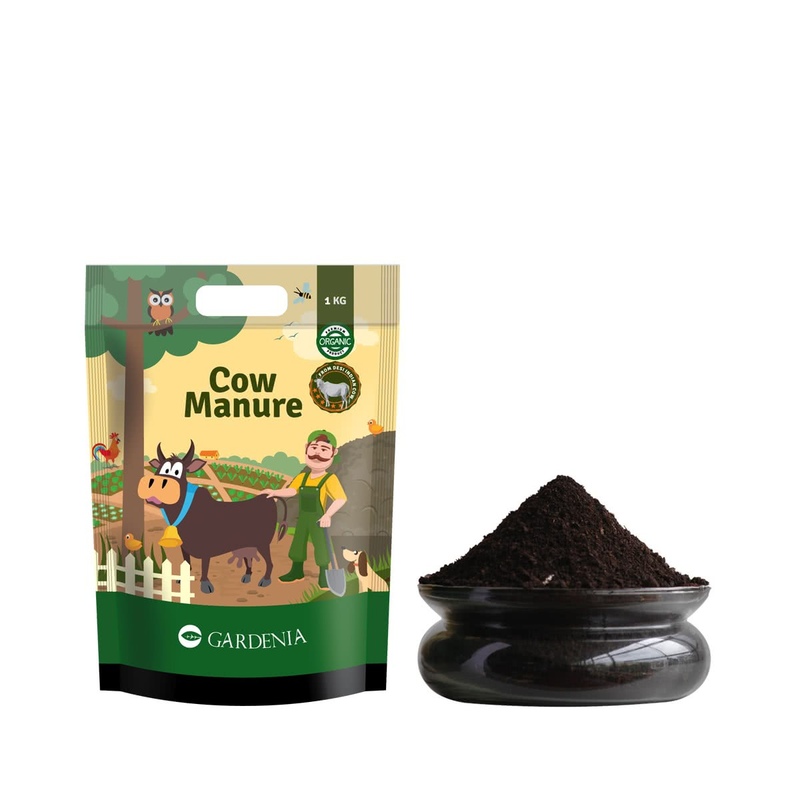 Cow Manure Capability : 1 kg is sufficient for nearly 25 sq. ft. of garden area. Step 1 : Cultivate the soil using a Garden Hoe / Cultivator. 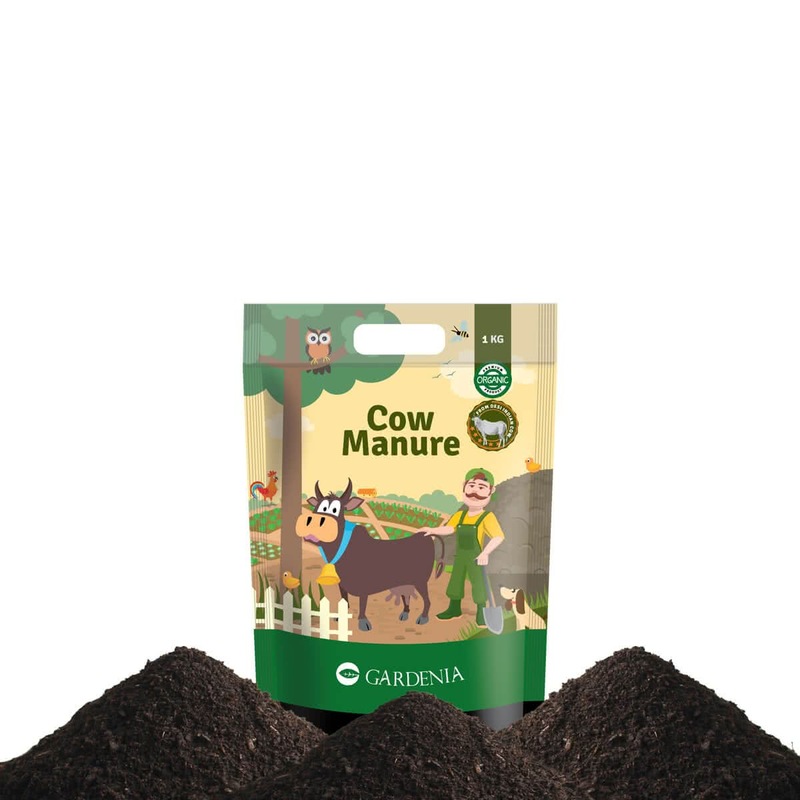 Step 2 : Apply Gardenia Cow Manure by sprinkling near the root zone of the plants. Step 3 : Water the plants after application of manure to mix it properly with the soil.